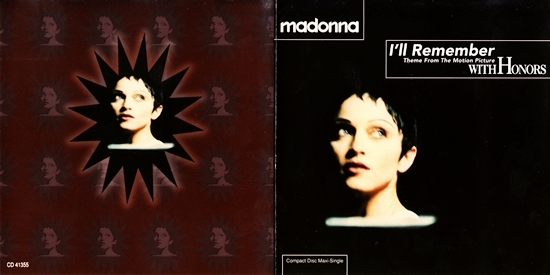 On May 16, 1994, Madonna’s I’ll Remember (Theme From With Honors) became the number-one single in Canada. The song remained at the top of the Canadian singles chart for five weeks before finally being dislodged on June 20th by All-4-One’s hit, I Swear. Incidentally, it was the same song that blocked I’ll Remember from reaching the top spot on the Billboard Hot 100 in the U.S., where it spent four weeks in its peak position of number-two. -Lady Madonna finds a balance between knowledge and wisdom in her Rebel Heart. As her writing described-No, Madonna is never afraid to cry-she has a beautiful and unique Detroit voice. Madonna came from Detroit Rock City with a single dream-to mix stardom with artistry. Again, I’ll Remember is a work of Ciccone art! Madonna will never be forgotten because I am inspired by her!! !